All the data within the Lotus Notes Files like : Emails , Tasks , Notes , Calendars is converted into Outlook PST retaining the Meta Data. All the contacts and emails of the NSF File can be migrated into a single PST file preserving all the fields and groups. No changes are made to the folder structure of the NSF File after the conversion. The data integrity of the NSF File remains intact. No changesn are made to the HTML Formatting of the emails or documemnts during or after the conversion of the NSF to PST. . The software supports all the latest versions of the Microsoft Outlook either 32 bit or 64 bit. The PST file created after conversion is of the UNICODE format. Get access to each folder like inbox, sent items, etc. Sorts out items on basis of subject, size, to date, etc. How can you view NSF data with NSF Viewer tool? As we know that NSF files can be accessed only with the help of Lotus Notes. So users are required to set up an environment of Lotus Notes on their system in order to read or view a specific NSF file. However, there are situations when a user requires an urgent need to read Lotus Notes files in the absence of Lotus Notes. In such scenarios you can freely depend on Notes Viewer tool to read out the contents of your NSF file. Let us know about its working in details. 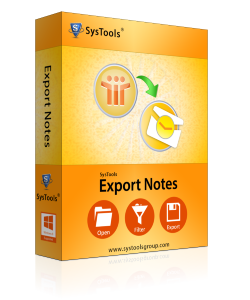 The Free Lotus Notes Viewer has been developed keeping in view the requirements of several type of users and hence does not possess any kind of limitation. Further, it does not bring out any changes in the original formatting of NSF messages. All the links, hyperlinks, texts, images remain intact while viewing the items with the help of Lotus Notes Viewer. Why NSF Viewer Could Be Convenient Option For You? Avoid Inconveniencies While Opening Large NSF File: Owing to prolonged use of Lotus Notes and accumulation of email messages, the NSF files become large in size. In such cases, user come across difficulty of large sized NSF files reason being the client slows down and in certain situations hangs down. However, with the use of freeware Lotus Notes Reader utility you won't feel such hindrances while accessing the email messages. The tool will provide you a faster view Lotus Notes database all items. Refrain From Any Duplicate Record: Normally, when users try to access a NSF file with an existing Lotus Notes data file, there are chances that of repentance of same messages or contacts more than one time. However, by using NSF Viewer application you can avoid such type of discrepancies because when you will open a file with the tool, it will display all the data without any duplicate records. Step 2: Click Next to proceed. Does this software supports all Lotus Notes versions? Yes, this software supports all versions of Lotus Notes including 9.0. What all items a user can view using this software? A User can view all data items of NSF files like contacts, emails, calendars, etc. Does it allow users to view file saved in network drive? Yes, you are allowed to view files saved on network drive also. Is it mandatory to have Lotus Notes installation on my machine? Yes, for the working of the software it is compulsory to have Lotus Notes application on your machine. I would like to thanks development team for making such a great software. Lotus Notes Viewer helps me a lot in viewing my important NSF files. I like this software because this software allows me to only view essential emails, which I want. I find little bit difficulty while installing the software, but thanks to technical support team who helped me in configuring this software on my machine. They first listen my problem carefully and then started guiding me which I liked the most about team. Great work done by support team.